The interview was published on the Italian magazine Armi e Tiro by Massimiliano Naldoni: https://www.armietiro.it/lisin-la-issf-che-voglio-10391. Shooting is a sport with great tradition and history (even Pierre De Coubertin was a shooter). What are going to do in the next years to safeguard the great tradition of shooting sport? In order to be popular and keep the tradition, any sport should be interesting to the viewer. Undoubtedly, shooting sport is interesting for those who is already shooting. But it is wrong to limit ourselves by staying within a group of shooters from shooting clubs only - we must strive to expand audience, be attractive and spectacular to young people as well. In the last two years laser in shooting and other shooting simulation were object of a harsh dispute. Do you think that sooner or later laser and simulation will replace traditional shooting? Speaking without prejudice: laser could be the right way to make shooting more popular or even to save shooting in the future? I am negative about it, as well as about any substitutes imitating the original – it's like non-alcoholic beer and silicone. Are you going to recover the lost shotgun disciplines like Double Trap and the other cancelled disciplines in Rifle and Pistol? My attempts to revive these disciplines in Europe have shown that gender equality is still unattainable, and in some disciplines the number of participants is falling. However, they can be restored only by those who not only use the word "want", but also come up with how to do it. I'm ready to assist. Shooting of the future needs young people and growing countries? What’s your position on this subject? How shooting sport can be attractive for young people nowadays? I have formed the ISSF Development Fund with a budget of more than $ 10 million for 4 years, which for the most part will work on the implementation of these tasks. 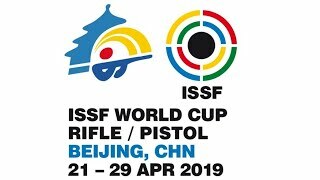 In the new Issf there are few Italians, but Italy has a great tradition of excellence in shooting, both on the point of Olympic medals and athletes and on the point of organization and industry. 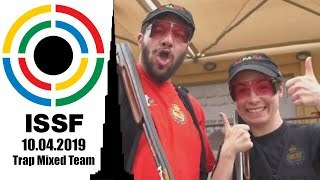 What could be the role of Italy in the Issf of the future? In Italy there's the world's best cluster for the production of sports weapons. And I suppose the Italian industry can join not only to increase the Fund created by me, but also to make a great contribution to its development - in Europe at least. China, India, Brazil, even Russia (that, of course, you know well): we are talking of the biggest countries in the world, we are talking of countries with growing economies and huge population. And we are talking of countries that hosted WCH and WC in shooting. But shooting has really grown and is really growing in these countries? That’s what I mean: are there really lots of shooters in China, India, Brazil, Russia? According to my information, there are about 6 thousand people participating in the National Championship of India. In China - not less. In Russia the population is 10 times less, and the amount of shooters is about 10 times less as well. But I am sure they win not by number, but by skill. 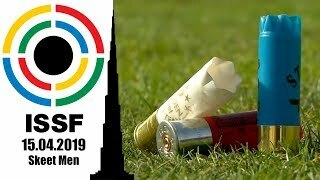 In your opinion, in nowadays world, tight connection between sport shooting and hunting is a brake for expansion of shooting? Or is it a benefit? If we imagine that hunting will be banned all over the world, then after some time in Europe or, for example, in Africa, there will be a collapse within the animal world. The animal world requires both preservation and balance. Civilized hunting and sport shooting are two related processes. Some shooters can like hunting, some hunters, by contrast, do not like sport shooting. But these are two communities respecting each other definitely. When did you discover shooting in your life and where did you shoot for the first time? And what’s your favorite discipline in shooting? I started sport shooting at the age of 12. It was in Siberia. We shot in half-open shooting ranges. However we were allowed to do it only up to 25 degrees below zero. First I practiced rifle shooting, and in adulthood I started Shotgun. Regarding favorite events - the question is not quite correct, because it's the same as trying to choose a favorite child in a family. 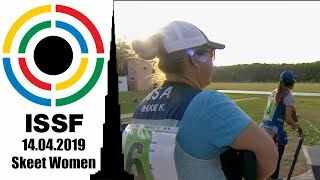 Is there a non-Olympic discipline of shooting that you would turn at once in a Olympic one? If I could I would include in the Olympic Games another 10-15 shooting events (besides existing). But I want to remind you that the decision of inclusion into the Olympic program is made by the IOC together with the Organizing Committees of the host countries. It depends on popularity. And, as you might know, the number of participants in the Olympics is limited in all sports, otherwise the Games would last for months.